I'm generally not a book after movie person, but I so rarely read middle grade books that I thought it wouldn't matter. So I recorded the movie and watched it a few years ago. It's just a glimmer in my memory. I've owned the book for several years and in December I decided it would be a great last book of the year or a great first book of the year. First book of the year it was! Such a great quick read. It would be a great read aloud, which I plan to do with my own daughter after we finish the Little House Series. India Opal is a very lonely girl who has just moved to a brand new town with her preacher dad, who she calls, Preacher. Her mama left and she doesn't really remember her. Opal lives in a trailer park with no other kids and hasn't made any new friends since she moved. Enter Winn-Dixie. Winn-Dixie is a lovable dog that Opal claims one day while shopping in the produce section of the local... Winn-Dixie. Winn-Dixie brings Opal a bright spot that opens the door to friendships and belonging. Such a cute tale and I good see glimmers of the movie in the back of my mind as I read. Are you a book before movie person or does it not matter? I'm participating in Apartment Therapy's January Cure and today's task is to go through the house and find 3-5 big things in each area to attack this year. I'm using this things that I need to update/organize better too. Here is my list. This seems super overwhelming but I need to get this house under control. Our new big projects are to get central air and replace the windows. We also want to get an estimate on an addition for a master bedroom/bath and deck. Basically, if that's out of our budget/won't be worth it in our neighborhood we may sell. However, we do need to do the central air and windows. And carpet in the living room and bedrooms. And then the entire house needs painted. After windows are done we will most likely need to get new siding. So it's a huge mess. I suggest we just move. Since we can do none of the things. I basically need Fixer Upper to come and completely redo my house for me to even like it. And that's not going to happen. I'd rather be in a different neighborhood with a house that is all ready. The end. What big house projects are on your agenda this year? I went through a lot of reading spurts in 2017. I like different little rituals that I do in different situations. Listen to a gazillion podcasts? Monday, I go by the most episodes per episode and the least amount of episodes back and forth when I have time to listen. Tuesday, the latest downloaded episodes and the newest. Wednesday, I scroll down twice and pick the shortest length podcast. Thursday, I scroll down once and pick the shortest podcasts. And Friday, I go to specific podcasts I want to catch up on. I am a bit weird. Also, in the card and need a new one? That's one scroll and a random pick. Around November I decided to help pick up my reading by grabbing one book from the New Section of the library which was a two week check out and one from the Express Section that was a one week section. I'd say since I read 15 books between November and December it was a good decision. So this new reading ritual (obsession) may be my new thing. I read this very early in 2017. I was a super quick read and I wanted to then put it in the hands of all my friends that are going through rough patches and need a little encouragement. Description: Goodnight Moon is an adored childhood classic, but its real origins are lost to history. 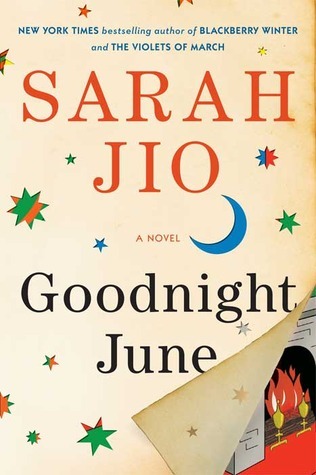 In Goodnight June, Sarah Jio offers a suspenseful and heartfelt take on how the "great green room" might have come to be. 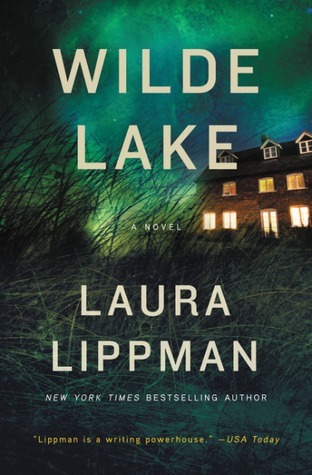 I love Laura Lippman's books, and this one did not disappoint. Description: Luisa “Lu” Brant is the newly elected—and first female—state’s attorney of Howard County, Maryland, a job in which her widower father famously served. Fiercely intelligent and ambitious, she sees an opportunity to make her name by trying a mentally disturbed drifter accused of beating a woman to death in her home. It’s not the kind of case that makes headlines, but peaceful Howard county doesn’t see many homicides. Wow. This was so good. 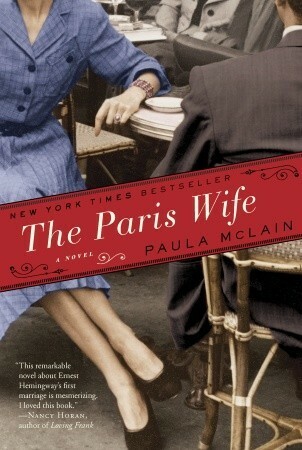 Such a good book about Ernest Hemingway and his first wife Hadley. An interesting fictional insight into the Jazz Age Paris and the artists they came in contact. What a time it must have been! This was a great book I heard about on one of the Book Riot podcasts and one of my ritual pick ups from the library! Definitely recommend! Description: Imagine a place populated by criminals-people plucked from their lives, with their memories altered, who’ve been granted new identities and a second chance. 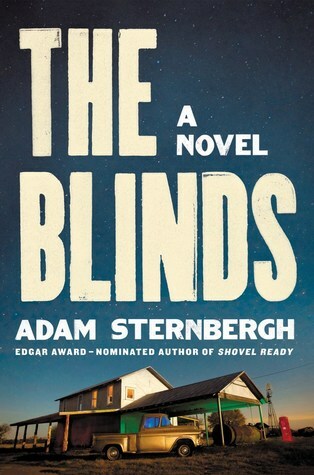 Welcome to The Blinds, a dusty town in rural Texas populated by misfits who don’t know if they’ve perpetrated a crime, or just witnessed one. What’s clear to them is that if they leave, they will end up dead. Ah! I loved this. 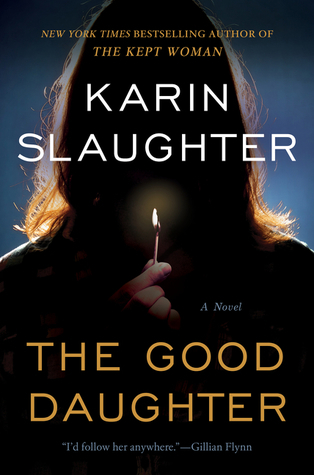 It was good ole Karin Slaughter at her best. If you are into suspenseful thrillers you need to check it out! I mean any book that has the description.. "Two girls are forced into the woods at gunpoint. One runs for her life. One is left behind." This was probably the book that was recommended the most that I held off the longest. The description was sort of off putting to me, especially coming after reading A Man Called Ove, which I liked but took a bit to get into! This is a middle grade book that I highly recommend! 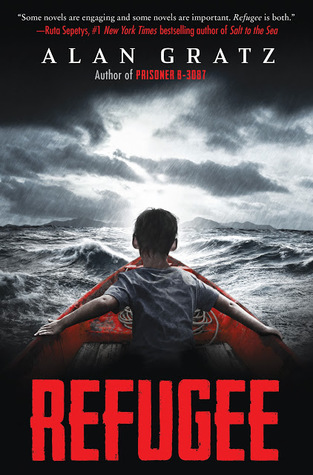 It goes back and forth between 3 young kids in different time periods in different places throughout the world that need to seek refuge in other countries. It is heartbreaking as hell and it makes you want to throat punch people who do not want to help those less fortunate than us lucky enough to not be a minority, under rule of a dictator or persecuted because of our religion. I love The Daily Show. It's been a nightly ritual going back to 2002. I was very leery when Trevor took over for Jon Stewart as Jon was my guy for so long. So I was skeptical, but Trevor is Trevor. And he's gotten my late night approval. This collection of essay's of his life growing up in South Africa under apartheid was so damn good. Highly recommend it and you don't even need to be a fan of the show. Nothing about his current career is touched upon, but really focuses on his childhood and ridiculous adventures. This is so so good. Highly recommend to all lovers of books. Especially those of us who write letters to them in our heads or on paper or on the internet. And you will then need to add 23434234 more books to your TBR list. Description: A Gen-X librarian's snarky, laugh-out-loud funny, deeply moving collection of love letters and break-up notes to the books in her life. Librarians spend their lives weeding--not weeds but books! Books that have reached the end of their shelf life, both literally and figuratively. They remove the books that patrons no longer check out. And they put back the books they treasure. Annie Spence, who has a decade of experience as a Midwestern librarian, does this not only at her Michigan library but also at home, for her neighbors, at cocktail parties—everywhere. In Dear Fahrenheit 451, she addresses those books directly. We read her love letters to The Goldfinch and Matilda, as well as her snarky break-ups with Fifty Shades of Grey and Dear John. Her notes to The Virgin Suicides and The Time Traveler’s Wife feel like classics, sure to strike a powerful chord with readers. Through the lens of the books in her life, Annie comments on everything from women’s psychology to gay culture to health to poverty to childhood aspirations. Hilarious, compassionate, and wise, Dear Fahrenheit 451 is the consummate book-lover's birthday present, stocking stuffer, holiday gift, and all-purpose humor book. 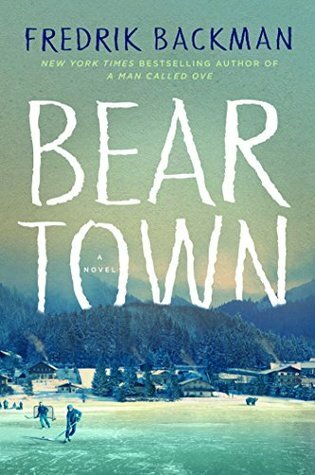 What were some of your favorite reads of 2017? Which book should I pick up next? Did you read any of these picks this year? What were your thoughts?